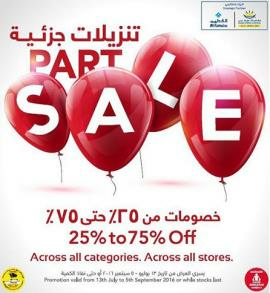 ACE - Part Sale, 25% to 75% off. Across all categories. Across all stores. 26th December 2018 - 2nd February 2019. T&C apply. ACE - Final Reductions. 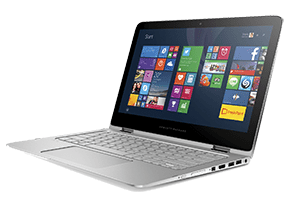 Part Sale - Ends 4 August. Up to 75% Off. ACE - Eid Mubarak. Massive Event. 25 to 75% Off. ACE - The Great Outdoor Promotion. 5th February to 15th April, 2018. ACE - Part Sale. 30% to 75% Off. 26 December, 2017 - 4 February, 2018. ACE - Festive Mega Deals. Online Exclusive. 2 days only! 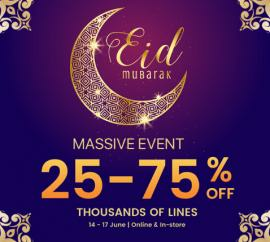 25% OFF thousands of items! 12-13 December 2017. 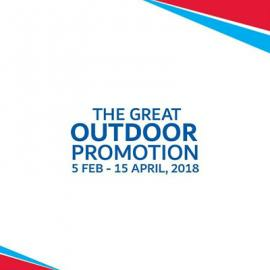 ACE - The Great Outdoor Promotion. Up to 30% Off. Offer available in all ACE UAE stores and online from 1 - 30 November, 2017. ACE - Online Exclusive Event. 25% Off. 1000s of items! Free delivery on all orders. Offer available only from 22 to 23 October, 2017. 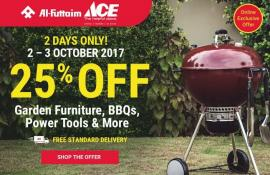 ACE - Save 25% on Garden Furniture, BBQs, Power Tools & more. 2 days only! 2 - 3 October 2017. 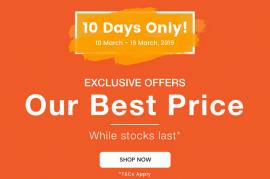 Online exclusive offer. ACE - Mega Weekend. Big savings on 100s of products in-store. 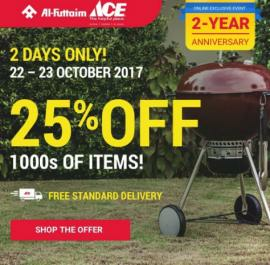 Promotion available only at ACE Dubai Festival City store from 28th to 30th September, 2017. 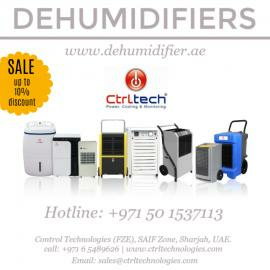 CtrlTech Dehumidifier - We offer Portable Dehumidifier, home dehumidifier, portable dehumidifier for home application. Part Sale 30 - 75% Off. Offer valid from 2 July to 23 august 2017. Available in all ACE UAE stores and online. ACE - Up to 28% off selected Dyson products. Offer valid from 4-6 May, 2017. 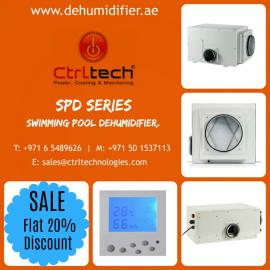 Offer available only in ACE Dubai Festival City store and online. ACE - Online Exclusive 25% Off Today Only! 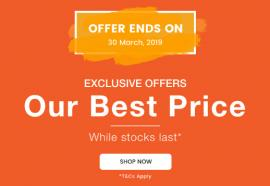 Valid online (aceuae.com) only on 27 March 2017. ACE - Outdoor furniture up to 35% off. Available in ACE UAE stores & online. ACE - Part Sale, 30% to 75% off. Across all categories. Across all stores. ACE - Part sale, 25% to 75% off. Across all categories. Across all stores. Promotion valid from 13th July to 5th September 2016 or while stocks last. Get a list of best deals, offers, discounts and sales for all kinds of gardening material on TomatoSALE. Know about offers for seeds, plants, pots, manure, fertilizers and more at discounted rates in various stores. 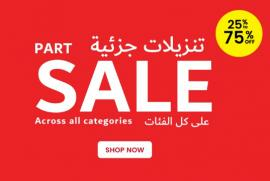 Log on to TomatoSALE to get all deal information in stores in Dubai, Abu Dhabi, Sharjah and all over UAE. Choose for deals, offers, discounts on plants and gardening material city wise and brand wise on TomatoSALE. 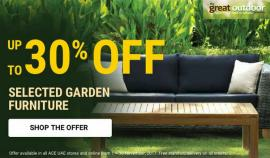 Get the best deals for gardening in Dubai, Abu Dhabi, Sharjah and all over UAE through TomatoSALE. Get offer listings for seeds, fertilizers, plants, pots and other items of plant nurseries at great discounted prices. Be the first one to know about these sales and offers and get them before stocks run out or offers are closed. Be privileged to know firsthand through TomatoSALE. Get the best office supplies by knowing offer listings only on TomatoSALE. One destination for all shopping offers for malls, stores, shopping centers anywhere in Dubai, Abu Dhabi, Sharjah and all over UAE.